4.5 ★ Audiobook⎮This was my first Alexandra Bracken story. I haven’t gotten to The Darkest Minds series yet, but reading Passenger encourages me to move it up on my TBR. I’m no stranger to time travel fiction. In fact, it kind of seems like that’s all I’ve been interested in lately. Bracken’s take on time travel was unlike anything I’ve experienced before. It was a wee bit confusing and I’m still not sure I have completely grasped her concept of time and the rules of traveling through it, but I am intrigued enough by its uniqueness to carry-on. Fondness for this audiobook sort of creeped up on me. I wasn’t immediately hooked, nor was I ever on the edge of my seat with excitement, but that is not its style. This story doesn’t need cheap thrills because it has quality. It has so much promise that I don’t blame Bracken for not giving away all of the goods at once. Overall, I felt this was a very balanced story. There wasn’t a ton of action and it wasn’t super fast-paced, but I was never bored with it. There was so much to digest, that I came to appreciate the slower pace. It gave me time to develop genuine interest in the plot and tethered me to the welfare of the characters. By the end of the novel, I had developed pretty strong opinions on each of the characters (one way or the other), except the main character Etta. My indifference towards her began to worry me as the story progressed until Rose described her as “a blank slate” near the end of it. It dawned on me that Etta is probably supposed to be somewhat underdeveloped at this point in the story since it’s only the first installment (I had to keep reminding myself of that). This allows the author to develop Etta along the way and let future events in the series mold her further. Although the romance in this story did have me swooning at times, I’m not in full “shipping mode” just yet. I won’t say it was “insta-love” (thank goodness) because it seems more like lust than love right now anyway. However, I can see how it could develop into a great romance in the coming installments. I am oh so grateful to Alexandra Bracken for not forcing a gag-worthy romance down our throats. I’m even more grateful to her for rejecting an all too common YA plot device, the love triangle. Although Angels & Demons is known as Robert Langdon #1 in the series, it was actually published 3 days after The Da Vinci Code (Robert Langdon #2). But don’t ask me why! I read this back in 2006 (and I do mean read, as in the physical version) after immediately finishing (and adoring) The Da Vinci Code, which was being hyped like crazy then. When I first picked up The Da Vinci Code, I had no idea it was part of a series. You can imagine my delight upon learning of this installment and eventually coming to love it even more than The Da Vinci Code. I’m usually a stickler about reading a series in order (it’s a serious pet peeve), but this series was written in such a way that each installment could almost be a standalone novel. I read it 10 years ago, so I won’t do a detailed review. But suffice it to say that even though #1 and #2 are both worthy of receiving these 5 stars, this one edges out The Da Vinci Code by just a nose hair. As stated above, this was the book that started my obsession with the Robert Langdon series. I know it gets spit on a lot, but I really, really, enjoyed it. I can see how it might not be suited for those with serious religious affinities, but I’ve always viewed it as an alternate take on religious history. I would recommend it for someone who loves history, but it doesn’t take things too seriously and is able to see this for what is, a work of fiction. To my amateur eye, Brown really seemed to have done his history homework. There were no significant inaccuracies that really bugged me or kept me from being able to enjoy the overall plot. To this day, I have never read anything else like this and it remains one of my favorites. By the time The Lost Symbol was released, I was an avid fan of Dan Brown. I had its release date marked on my calendar for months. For some reason, I just didn’t enjoy this installment quite as much as the previous two. Maybe it was because so much time had passed between my successive reading of installments #1 & 2. I guess I was expecting it to be sort of like the movie National Treasure, but better. It turned out that I wasn’t as captivated by the Freemason storyline as I should’ve been in order to fully enjoy the story. However, it’s still a good installment to the series and I can definitely see how someone more interested in the Freemasons and Founding Fathers would love this. It just wasn’t my favorite. I initially gave each of these installments four stars when I read them last August (2015). Looking back, I can remember why I gave The Raven Boys and The Dream Thieves those ratings, but I can’t recall anything significant enough to detract a whole star from Blue Lily, Lily Blue. The first installment starts off a little slowly, but only to build the incredible setting. This is difficult to appreciate as a first-time listener (or reader) because the setting and context for this story are so unlike what is traditionally seen in the YA genre. The Dream Thieves changes perspective just a bit and focuses more on Ronan, which I’m sure delights his multitude of fans, but Ronan was never my favorite. Overall, the second installment interested me slightly less than the first, but was still extremely enjoyable. The third (but not final!) installment was much more action-oriented and where the story really seemed to pick up momentum. I’ve decided to bump it to 4.5 stars because this really is one of my favorite series. Over time, the appeal of this series has greatly increased in my mind. The Raven Cycle is like molasses. It’s thick and slow and smooth and rich and completely worth the wait. It’s the good kind of slow. The kind that builds up over time and has more of an impact on you after already consumed. It’s the kind of slow that seeps into your soul and sticks to your ribs. The kind you can’t shake. The vivid imagery of the setting Stiefvater created has withstood the test of time and remains almost just as vivid in my mind today as it was in August. Her writing is so uniquely impassioned that I just can’t help but *Blanche Deveraux swoon*. I’m looking forward to the fourth installment almost as much as I’m looking forward to The Winds of Winter, which is to say one hell of a lot. Narration review: The other point that really stands out to me is the narration. Kudos to M. Stiefvater (or whoever is responsible) for choosing Will Patton to narrate The Raven Cycle. Whenever I think about The Raven Cycle, I still hear his voice in my head. The writing and the narration are so perfectly paired that it was hard to separate them for review. I don’t think either one would be quite as powerful without the other. Based on voice narration alone, this is quite possibly my favorite narrated series. Are audiobooks right for you? This is my number one reason for being an audiobook addict. There is no way I could have read 15+ physical books last month. I just had too much going on. But with audiobooks, I can dedicate almost 75% of my day to completing a book. How? By listening in the car, while exercising, cooking, cleaning, etc. I play audiobooks the way most people play music. I always have it on. It takes me approximately 2 days to finish an audiobook, without ever sacrificing time for anything else. If done correctly, satisfying an audiobook habit can actually be more cost-efficient than feeding a regular book habit. This will be more true for rapid readers than occasional readers. 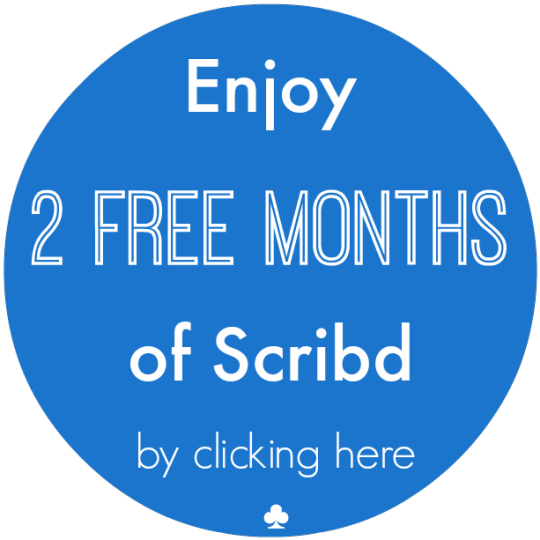 Audiobook subscription services like Scribd offer ways to listen to audiobooks and read eBooks each month for a flat fee (Scribd=$8.99/mo). Amazon’s Audible is a more expensive choice (starting at $14.95/mo), but it regularly boasts sales and special offers. For more detailed info about how to get the most book for your buck, check out my post overviewing paid audiobook services here. This one is pretty self explanatory and is particularly beneficial for those with smaller living spaces. Can’t wait until morning to buy that sequel? If you have an Internet connection, then you have fingertip access to practically any book ever published and can be enjoying it in a matter of seconds. For the most part, audiobook narrators pronounce character names and terms the way the author intended. Otherwise, I wouldn’t know that Chaol is pronounced Kay-all and not Kale. Bad example, but you get the gist. This may not matter to some people. But for pronunciation sticklers, like me, it’s a perk! To put it simply, narrators do voices. Some actually do them very well and it greatly enhances the listening experience. If you are an auditory learner, meaning you absorb and retain information better from hearing it, you will probably take to audiobooks like a fish to water. Also pretty self explanatory, but shouldn’t be overlooked. There’s nothing wrong with taking a book everywhere you go, but isn’t it easier to take your phone? From what I understand, this is the biggest drawback for most readers. Some people simply enjoy the feel of a physical book in their hands. I admit that there is something nostalgic about perusing a bookstore for hours and leaving with a new treasure. Likewise, most readers take pride in arranging (and constantly rearranging) their bookshelves. This is the biggest drawback for me, personally. Everyone has their preference, but for every great narrator you find, there are two horrible ones you must suffer through. I will say however that an annoying narrator has never caused me to be unable to complete an audiobook. If you only read one or two books a month, and audiobook subscription service may not be worth the cost. This may just be me, but sometimes I will find myself completely “zoning out” (not listening) to an audiobook. That’s usually a cue that it’s time for a break. Some books have a unique visual style that can lose its effect when read aloud. Rainbow Rowell’s Attachments, for example, is largely written as email correspondence between two coworkers. Although I am still enjoying listening to this audiobook, I can’t help but feel that I’m missing some of the author’s intended effect when writing it this way. On the flipside, I think some books are actually enhanced by narration. Books that deal with music or poetry (ex: The Beautiful Creatures series), tend to come to life when read aloud. 3.5 ★ Audiobook⎮My opinion of this dramatically increased during the last two chapters. If the entire book had been as action-packed as those chapters, this easily could have been a four-star book. However, Godbersen devotes most of the story to character-building and, unfortunately, I just wasn’t crazy about any of these characters. They come off as vapid and vain, not to mention child-like (all things that annoy me). These women pale in comparison to those in the Luxe series. I can’t imagine what Diana Holland would think of Astrid Donal. Towards the end of the story, I (thankfully) began to become invested in these characters enough to actually want to pick up the second installment. Cordelia finally elicited a response other than a groan from me. At one point, I was even cheering for her. I just wish that point (and the catalyst for it) had come much sooner in the story. 5 ★ Audiobook⎮I started this series a couple of months ago when I was reading several popular fantasy stories and this one was my favorite out of all of them. I loved the character of Elisa from the very beginning. She is beautifully written and so relatable that you can’t help but adore her. In a world of Bella Swan’s, it is incredibly refreshing to read a female character like Elisa (that’s not a knock against Twilight; I’m just contrasting). It’s appropriate that I wrapped up this series while #ReadWomen is trending, because Elisa is not the typical YA female character, mentally or physically. Her character development throughout the series is a beautiful thing to watch. I felt as if I were being vicariously empowered through her as she came into her own. Needless to say, this series satisfied all of my feminist desires for a YA character, but not in an over-the-top way. It really was beautifully done. I especially liked how the author gently wove spirituality and religion into the story line without ever singling out a particular religion. All the better to please everyone with, I suppose. There was always enough action in The Bitter Kingdom to keep me interested, but not never too much to overwhelm me.